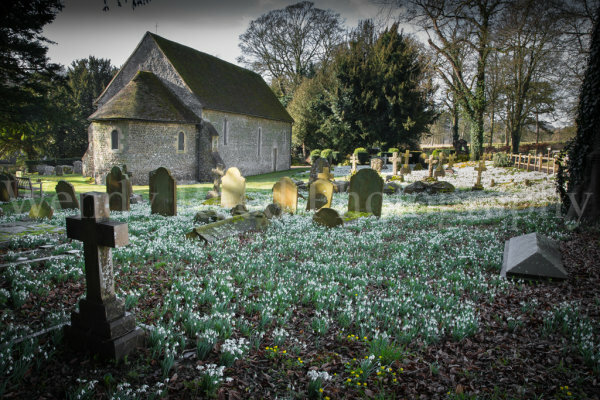 One of the best local displays of snowdrops can be found in the churchyard of St Botolph's in Swyncombe. For three weekends in February they offer tea and cakes for visitors to this lovely church and snowdrop display. I however prefer to go during the week when visitors are few and I can enjoy the peace and serenity of this lovely spot. As well as a white carpet of snowdrops there is also a lovely display of yellow winter aconites. It was bright and warm and almost spring-like and the fragrance from the snowdrops was intoxicating. I have taken many photos at this spot and have decided this is the view that best encapsulates the massed beauty of these heralds of spring.